Why is Customer Satisfaction Popular? The ability to track customer happiness with a company’s product and services using a single number is the holy grail of leadership and investor teams. Understanding how happy a customer is with a company’s product and services should provide a good grasp on how poised the company is for future growth. Numerous studies have been conducted to research the correlation between customer satisfaction scores and business value drivers such as customer loyalty, customer retention, shareholder value etc. These correlations are stronger at the extremes. An over-the-top happy customer is more likely to make a repeat purchase or refer a friend. At the other extreme, an extremely dissatisfied customer has a higher likelihood to churn, and punish the brand by blasting their bad experience on social media. Consulting firms such as Bain & Co. and the Corporate Executive Board came up with variations of this CSAT metric–NPS and CES, respectively–stipulating a better predictive power of customer retention and loyalty for their own metric. These scores are various attempts at modeling a company’s ability to fulfill its customer’s needs. 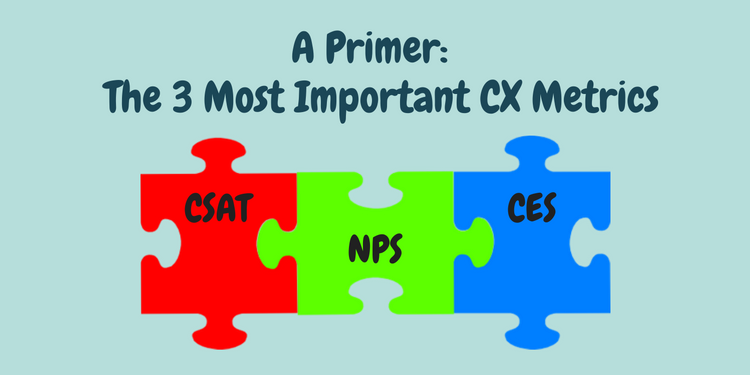 But, as the saying goes, “all models are wrong and some are useful.” What’s most attractive about customer metrics such as NPS, CES, and CSAT is their predictive power. While financial metrics are past indicators of a company’s performance, customer satisfaction metrics are leading indicators. After all, if your customers are not happy with what you have to offer today, one can predict it will reflect in the financial statements later in the form of churn, decreasing share of wallet, etc. Knowing and monitoring your company CSAT score is one reason to implement a CSAT program. The score can be segmented, benchmarked, and tracked over time. More importantly, setting up a CSAT program is an opportunity for a systematic solicitation and collection of actual customer feedback that can be used across the organization for continuous improvement. Product teams can use it to plan their product roadmap. Account executives who become aware of problems with one client can remedy, or conversely, fully realize the value another customer is getting from the product, price accordingly or cross-sell; engineering teams can design better products, and fix problem if they have access to that feedback, and service teams can improve on the service they provide. In brief, CSAT is an easy to understand metric, versatile enough that it can be used in many scenarios and touchpoints–and low CSAT can predict churn. When to Measure CSAT? Customer Satisfaction Use Cases. By far, the most common use case of CSAT is as a departmental metric in Call Centers, with Customer Service and Support teams. A CSAT survey is triggered after an interaction with a support or service representative or agent. Modern CSAT tools will have an integration with common helpdesk and CRM software so that the survey can get triggered upon a case closure or issue resolution. These departments might track other metrics: the volume low CSAT ratings (3 or lower) (if the survey is triggered at after each interaction), or the time it took to respond to the opening of an issue, and the percentage of issues successfully resolved. Product teams also use CSAT to understand what makes the customer tick, or where the product might fall short. 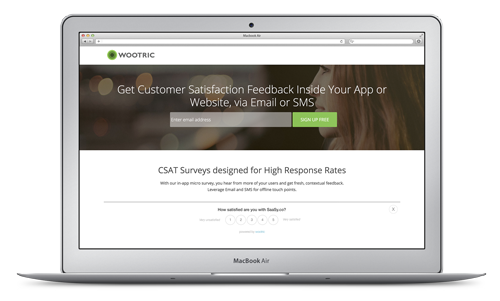 They might have heard anecdotes and qualitative feedback from front-line employees, but CSAT surveys are a great way for product teams to get access to first-hand feedback right at their fingertips.